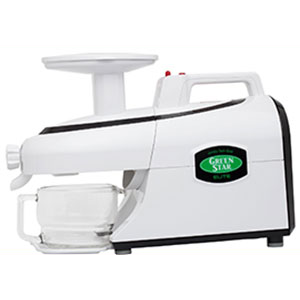 Green juicing is a process that creates a concentrated nutrient-rich juice from fruits and vegetables that is low in sugar and high in chlorophyll content. The initial concept of consuming green juice started way back in the 1930's by health enthusiasts like Norman Walker, Dr. Kirschner, Dr. Max Gerson, Jay Kordich and many others who were the first to use the benefits of juicing as therapeutic treatment for many chronic illnesses. Today, green juice is quickly becoming a staple morning drink among health-conscious people all over the world as many are transforming their health by consuming the nutritious green liquid from dark leafy greens and noticing a positive influence on overall mood and energy levels. These benefits can be attributed to its alkalizing effect on the body, in addition to its ability to neutralize toxins as well as supply an immediate transfusion of absorbable chlorophyll-rich phytonutrients to the cells and bloodstream. Green juice therapy is used in many modern day fasting retreat centers to promote the detoxification process and is taken medicinally to facilitate a natural state of cellular healing when consumed exclusively for a period of time. What is Green Juice Exactly? Green juice is specifically fresh, raw, living organic juice made with green leafy vegetables and non-sweet fruits pressed through a juicer. This is a procedure that separates the fiber portion from the liquid in the vegetables. 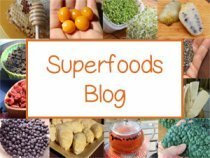 Essentially, you are super concentrating all the nutrients into a juice extract that can be extremely nourishing to the body and packed with enzymes, vitamins, minerals and amino acids. Juicing the liquid out of raw fruits and vegetables delivers more nutrients in one condensed glass of juice, so you don't have to eat pounds and pounds of produce. Also, by eliminating the bulk fibrous material, you give the digestive system a rest and provide an influx of nutrition that is easily assimilated. 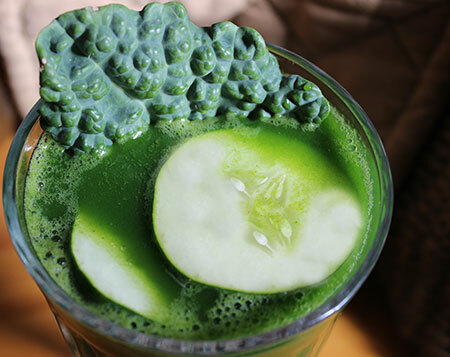 For some of you this might sound somewhat unappealing at first, especially if you are unaccustomed to drinking fresh juices and are not particularly fond of the taste of green vegetables like kale, parsley, collard or spinach. We encourage you to give it a try, however, as your taste buds will most likely adjust to the flavor once you experience the uplifting side-effects. Initially, you can add some sweet fruits to make your juice more palatable and then eventually reduce the amount of sugar content over time. Freshly pressed green juice is a natural mineral and vitamin supplement that can be potent plant-based nutritional support for a malnourished system. 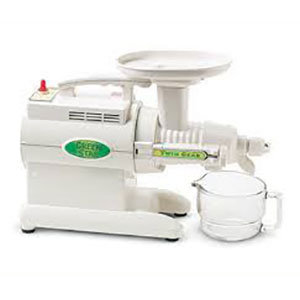 It is best to avoid bottled green juices that have often been pasteurized to increase their shelf life. This means that they have undergone heat processing that kills all living enzymes and most all of the health benefits. 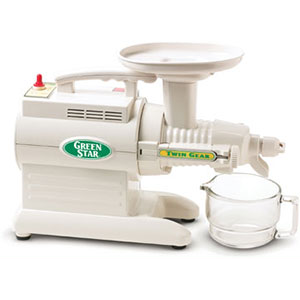 Your green juice should be as close to fresh as possible and completely "raw" or unpasteurized. This ensures it is filled with life-force, structured water content, probiotic microbes and enzymes. 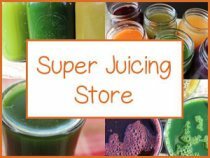 This is the best possible juice for providing restorative components that will help to enhance mental outlook, increase immune health, improve bone strength, achieve natural body weight and nourish the heart. 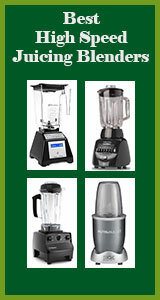 Green juicing ingredients can cover a wide array of leafy green vegetables. The most common types include kale, collard, cilantro, bok choy, parsley, lettuce, beet greens, green cabbage, swiss chard, sprouts, arugula, dill weed, mint and spinach. Sometimes you can also find more unique leafy green selections at farmers markets and some health food stores, such as dandelion greens, watercress, purslane or any of the Asian greens like mizuna. In addition, many wild edible greens can also be gathered at certain times of the year, predominantly in the spring and fall seasons. These are highly nutritious foods that can usually be harvested in large quantities for pounds of juice material. Some of these may include miners lettuce, chickweed, watercress, mallow, horsetail shoots, nettle leaf and many others depending on the climates zones in which you live. For those of you who like to sprout you can also add in sunflower greens, broccoli sprouts, pea shoots, fenugreek sprouts or any of the microgreen varieties to your juicing blends. 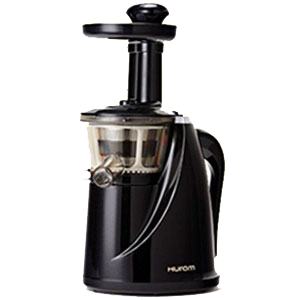 Most juices are comprised of about 2-5 different types of dark leafy greens. 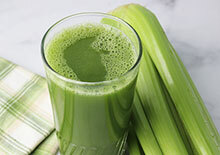 Two other commonly used ingredients in green juicing recipes are the water-rich vegetables celery and cucumber. 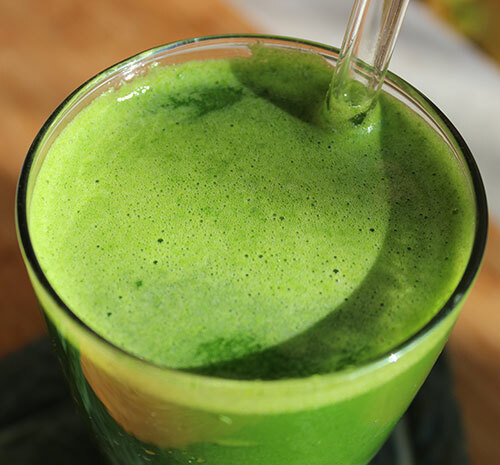 Occasionally green apples are used for flavor and pectin content, but "true green juice" contains very low amounts of fruit or vegetable sugars. Other veggie, spice and citrus combinations may also include fennel bulb, ripe bell pepper, ginger, turmeric, lemon or lime. Many of the benefits of juicing cruciferous leafy greens can be attributed to their high amounts of antioxidants like carotenoids and chlorophyll as well as other constituents like omega fatty acids, indoles and sulfur containing isothiocyanates. These compounds offer chemopreventive effects and also help to reduce inflammation, a key factor in cardiovascular disease. Systemic inflammation is nearly at the root of almost every known chronic health condition, including everything from high cholesterol to cancer. It has been shown in various studies that high intake of cruciferous vegetables can effectively lower inflammation in the body and is therefore helpful as an anti-inflammatory for related conditions like heart disease, arthritis or high blood pressure. 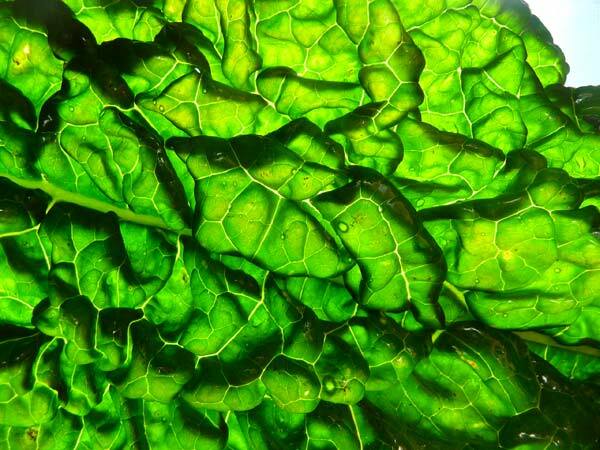 Dark leafy green vegetables also contain high amounts of omega-3 fatty acids or ALA (alpha-linolenic acid). Higher concentrations of omega-3's are found in leafy greens grown in the colder seasons and are particularly abundant in wild edible greens. Omega-3 fatty acids act as anti-inflammatory agents and help to counteract the pro-inflammatory effects of LA omega-6 fats and their derived oils. 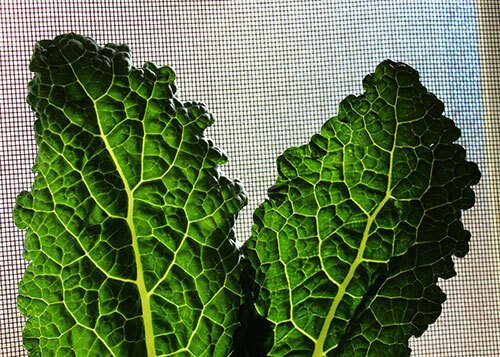 Our top recommended natural food source of ALA is, without a doubt, dark leafy greens. A health promoting diet should include large amounts of them on a regular basis and green juicing is one great way to achieve this goal. Cruciferous vegetables are an excellent source of sulfur-based MSM a nutrient helpful in building tendons, ligaments, and muscles. 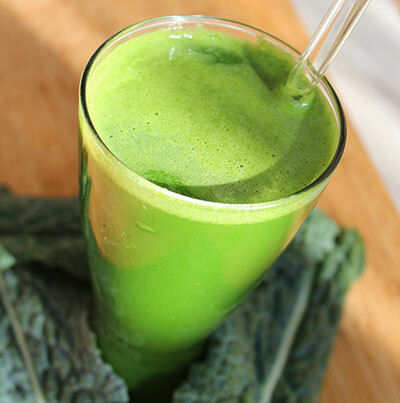 Sulfur-rich green juices can work to rebuild collagen and provide greater flexibility in the joints, by dissolving the source of stiffness and alleviating pain or inflammation. Disease, pain and inflammation thrive in an acidic environment. The ingredients used in these juices, like cucumber, celery, greens and other fruits and vegetables are extremely alkalizing to the body. Consuming green juice helps to promote a more balanced body pH that additionally relieves and eliminates inflammation encouraged by an overly acidic system. Periodic juice fasting can work significantly to overcome the effects of a diet high in meat protein, cooked, processed and refined foods. 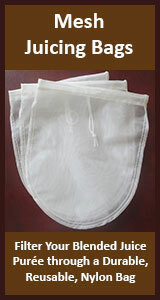 Many times, this can also help to relieve constipation, moodiness, emotional stress and headaches. Green leafy cruciferous vegetables are a source of a number of antioxidants and nutrients, like folate, carotenoids and chlorophyll that may work collectively to help prevent cancerous tumor growth. In addition, some of the sulfur-containing compounds known as glucosinolates are further broken down into isothiocyanates and indole-3-carbinol when the leaves are juiced. These elements are currently being studied for their potential anti-tumor chemopreventive properties, especially for lung, colorectal, breast and prostate cancers. In another study entitled, "Effect of dietary chlorophyll derivatives on mutagenesis and tumor cell growth" results indicated "that food sources that yield chlorophyll derivatives may play a significant role in cancer prevention." Chlorophyll is the green pigment in plants that collects energy from sunlight and uses that energy for the process of photosynthesis. Juicing greens creates a super concentrated amount of chlorophyll-rich liquid that cleanses the blood, purifies the liver, enhances oxygen transport, boosts the immune system and increases red blood cell production. Food and drinks high in chlorophyll are helpful for removing and neutralizing poisonous substances from the bloodstream, like heavy metals, toxins, radiation, pesticides and other ingested pollutants. 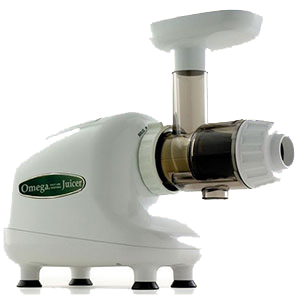 These effects are further enhanced by the high water content and alkalizing properties of these juices. As drinking green juice helps to eliminate these toxic substances, daily consumption can also, as a side-effect, help to uplift one's mood, alleviate depression and promote increased mental focus and clarity. You can also add any of the microalgaes, like chlorella and marine phytoplankton, or green powders like moringa or Vitamineral Green for added nutrients. 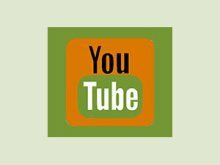 When juice fasting, zeolite or activated charcoal supplementation is also beneficial to help speed up the detoxification process. In addition, the juice from green leafy vegetables is also packed with vitamins and minerals, high amounts of iron and quality bio-available protein. Adding green juices to your morning meal plan is a great way to super boost your day with good quantities of vitamins and minerals. Different leafy greens have different nutritional components, but generally their liquid acts as a natural plant-based multivitamin, very high in calcium, sulfur, potassium, folate as well as vitamins A, C and K.
Green juice fasting can be especially beneficial for anyone suffering from digestive problems, constipation or candida overgrowth. As we mentioned, these drinks are alkalizing to the body and help to eliminate acidic conditions in which unfriendly microflora and parasites thrive in. Also, the enzymes help to break down undigested waste material and the chlorophyll content promotes the proliferation of friendly flora in the colon. Short periodic juice fasting gives the digestive system a mini vacation so that energy can be used for restoring health to the organs, glands and bodily systems. Depending on your situation or health conditions, sometimes a one day fast using green juice can work wonders to reset the digestive functions and relax the mind. Other times a longer juicing fast or vegetable juice cleanse might be in order. It is important to follow your own instincts and listen to what your body needs and requires. Sometimes it is appropriate to seek the advice of a trained medically supervised fasting technician and it is always imperative to consult your doctor before fasting when undergoing serious life-threatening diseases or conditions. 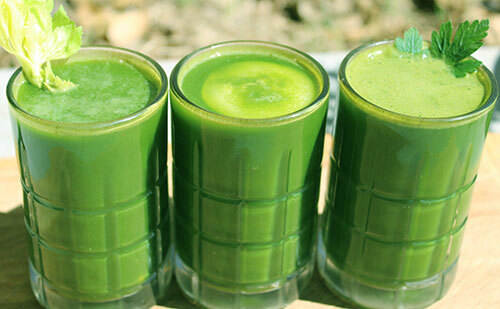 Periodic green juice fasting can be an excellent way to shed those unwanted pounds of excess body weight. Drinking one quart as a replacement for meals throughout the day is a simple and effective way to achieve this goal. Green juices are very filling because they are packed with nutrients that satisfy hunger cravings. 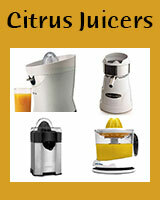 When juicing for weight loss, it is important to be able to stay as active as you can. These juices are also rich in protein as well as iron which helps keep your energy levels up so you can remain physically energized when undergoing dietary fasting regimens. For those of you who have an excess of body weight to release, sometimes a short water fast might be appropriate between your low sugar "green juicing only" days. It is always good to mix up the ingredients in your green juices to get a good cross-section of different nutrients. 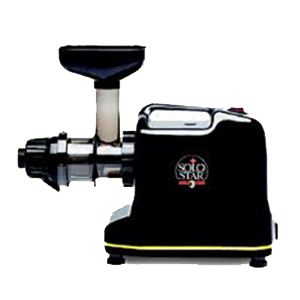 The juice should generally be consumed soon after making it as the nutrient content diminishes when oxidized or exposed to light. If you are not drinking it immediately it is best to store it in the fridge or even freezer in an air tight container to preserve its nutritional value. 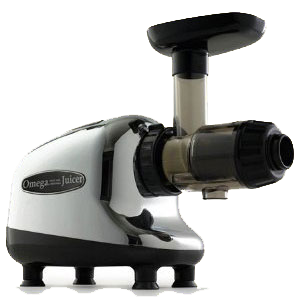 Juices made with a masticating juicer generally last longer than ones made with the centrifugal type juicers. Drink your juice slowly and "chew" it by swishing it around in your mouth. This mixes in your saliva and will help you to digest it in the best way possible. We always recommend using organic ingredients when juicing as most of the veggies used fall into the "dirty dozen" of the most pesticide sprayed plants. It is best to drink your juices between meals or better yet first thing in the morning when the stomach is free and clear of all previously eaten food. If you want to consume juice during the day, do so at least half an hour before meals and at least 3 hours after consuming any solid food. Some of you who are not so concerned about consuming higher sugar content and want more flavor in your juicing blend, might want to also include other raw fruits and vegetables like carrots, apples, pineapples, berries or kiwi fruit. To make green juices sweeter without increasing the sugar quantity significantly, you can also add in stevia or coconut water. Try some of our other juicing recipes, like our green juice blast... or for "pink juicing" see our benefits of beet juice page! For people with an underactive thyroid or hypothyroidism, some health authorities believe it is best to avoid concentrated amounts of cruciferous leafy green vegetables. 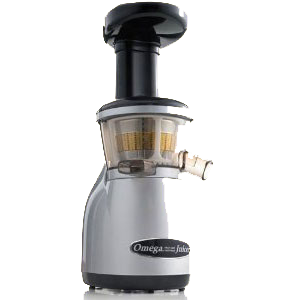 Juiced vegetables high oxalate content should be avoided by those with kidney disease or prone to kidney stones. Seek the advice of your physician if you are pregnant, nursing, taking prescription medications or have a serious medical condition.